Leading OBD telematics company Sinocastel selects Telenor Connexion as its Global Managed Connectivity supplier. ​The advanced IoT solution and know-how provided will help improve Sinocastel’s service operation and drive their global sales. Photo byline: From the left, Mr. Alger Qin, International Sales and Marketing Director, Sinocastel; Ms. Mandy Xiang, CEO, Sinocastel and Mats Lundquist, CEO, Telenor Connexion. The advanced IoT solution and know-how provided by Telenor Connexion will help improve Sinocastel’s service operation and drive their global sales. Telenor Connexion, a leading global provider of Internet of Things (IoT) solutions, today announced that it has signed a global agreement with Sinocastel, one of the largest On-Board Diagnostics (OBD) Global Positioning System (GPS) hardware suppliers in the world. 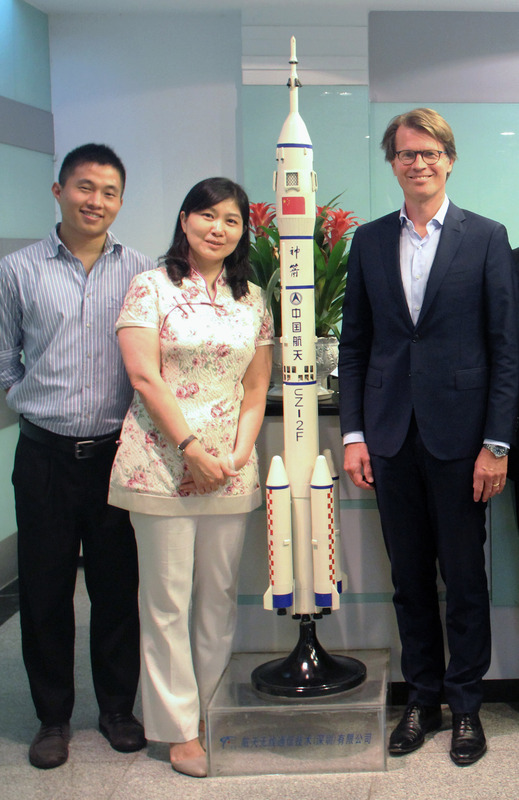 Sinocastel Co. Ltd. is a subsidiary of China Aerospace Science and Technology Corporation (CASC) and one of the co-founders of China GPS Association. Based in Shenzhen, China, Sinocastel has, since January 2016, been providing OBD telematics for over 800 clients in 120 countries. Sinocastel has selected Telenor Connexion as its global supplier of managed connectivity.The agreement adds real value for Sinocastel who can take advantage of Telenor Connexion’s advanced IoT solution and 400 strong partner network. Moreover, the solution provided by Telenor Connexion will help improve Sinocastel’s service operation to its global customers and drive global sales. “We are delighted to have this opportunity to partner with such a renowned and experienced telematics provider as Sinocastel. Their clients include global top players such as Coca-Cola and Fedex. This agreement underlines Telenor Connexion’s position as a leading global IoT solutions provider and strenghtens our presence in Asia“, said Mats Lundquist, CEO, Telenor Connexion. Aaron Chen, Marketing Promotionand PR, Sinocastel Co. Ltd.